@michael I am so sorry for your loss. Pets add so much to our lives. I truly believe they help bring out the best in us. Thank you for sharing Cooper with all of us throughout your teaching in this class! I loved seeing his picture and hearing stories about him. The hardest part about having a pet is saying goodbye. I am so sorry @michael. Big Hugs. @michael – So sorry to see this post as I scan through Feedly 🙁 I am sorry for Cooper’s loss to you and your family. May you celebrate your lives together as you mourn his passing. You were there in his last days to make him feel loved. Oh no, I’m so sorry @michael. I know what a heartache it is to lose a dog you loved so much. I wish you and all of Cooper’s loved ones wellness. I’m sorry for your loss @michael. Dogs are such wonderful and loving creatures. Cooper was lucky to have you in his life. I’m so sorry for your loss. Coop will be in your heart forever. @michael thank you for sharing so much of yourself in this class and encouraging us to be a community. My thoughts are with you and those lives Cooper touched. Everyone – I so appreciate your words at this time. I did want to be as transparent as possible because life for all of us does not happen in a vacuum. It’s been a hard week but your thoughts as well as those of friends here and virtually have been so helpful. 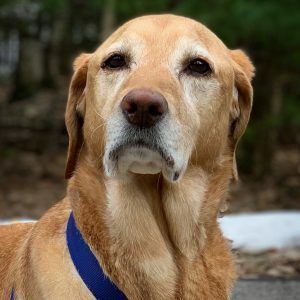 Cooper looks so handsome and wise in that photo:) He is lucky to have shared a lifetime of joy, curiosity, play and outdoor beauty with his family. I am so sorry for your loss, but so grateful you were able to spend some dedicated time with him in the snow. Nothing but good thoughts and wishes for healing! I am so sorry to hear about your loss. Thank you for sharing Cooper’s story with us, and wishing you peace during this hard time.